Our daffodils won’t appear for a few more weeks! They are always worth waiting for! 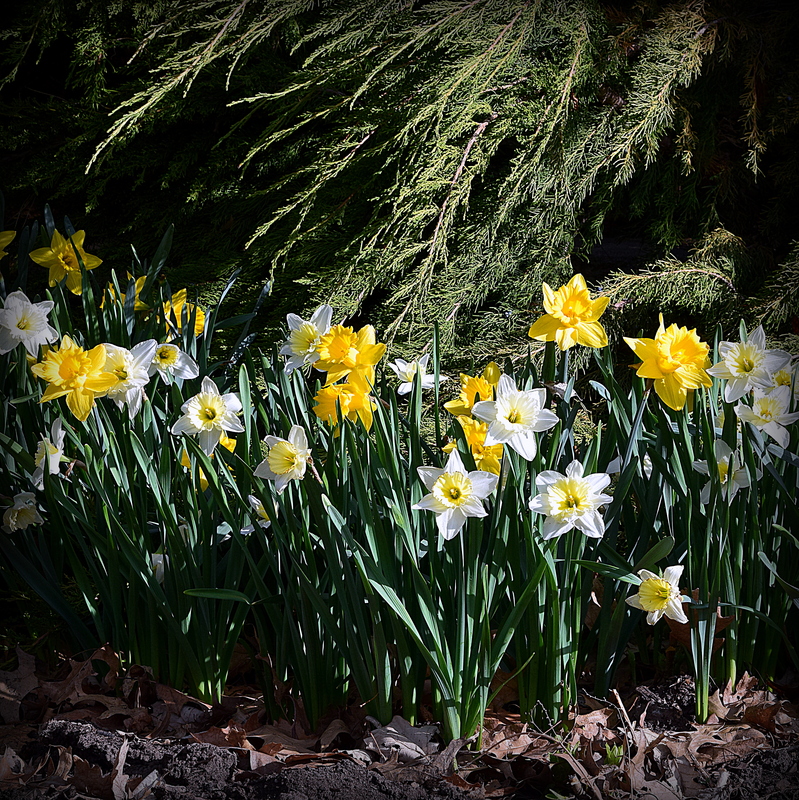 So cheerful to see spring daffodils in full bloom!! 🙂 ❤ Gorgeous photo, Sandy! Yes, we are in need of some bright color! Boy, you need a break! Great picture… I love the light and shadows! Sure. They are such a treat each year.